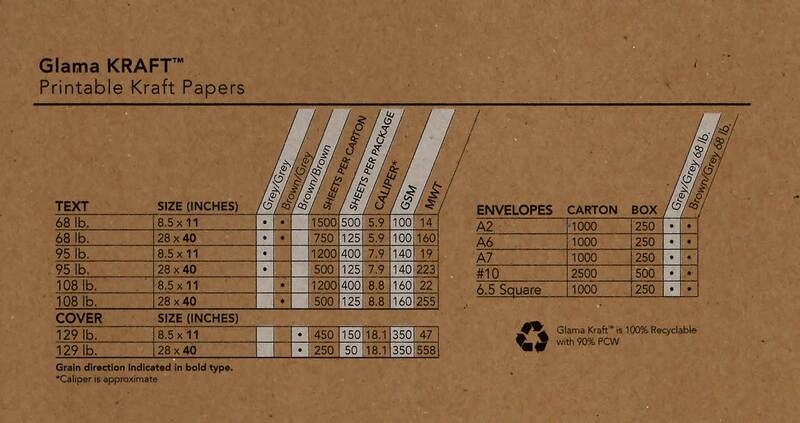 A natural organic Kraft paper suited for full color offset printing. 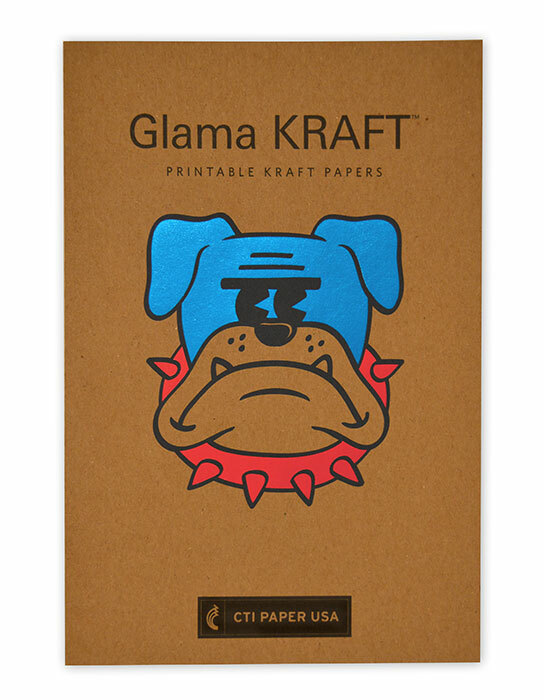 Let your imagination run wild with high quality graphics set against the rustic look and feel of a Kraft sheet. 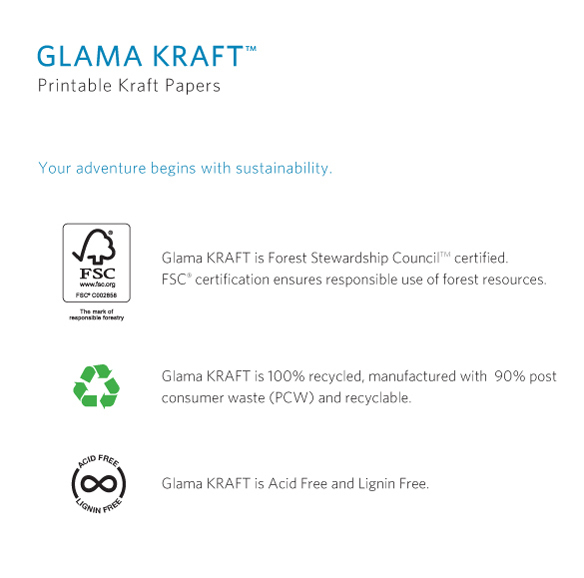 Manufactured with 100% recycled fibers including 90% Post-Consumer Waste Glama KRAFT is a highly environmentally friendly choice.